We love iterative improvements when it comes to websites. It’s all part of our master plan to take over the inbound marketing world, step-by-step. There’s a long to-do list, but we’re nothing if not dogged optimists with blinkers on. Recently, we’ve improved our contact page design. Here’s a breakdown of what we did and why. Maybe these tips will make sense for you and your business, too. Immediacy and transparency – these two concepts are key when designing a modern B2B business contact page. People want clear information and easy access to it. There’s nothing worse than visiting a ‘Contact Us’ page and struggling to find what you’re looking for. 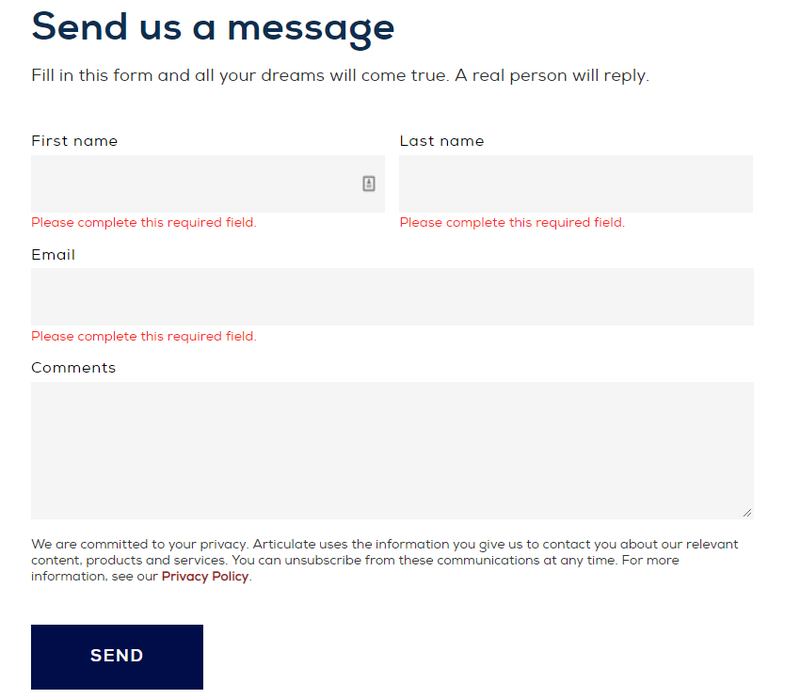 If your site visitor has already filled in a form to download some sort of premium content, like a white paper on website design, or they’ve subscribed to your blog, you can use personalisation on your contact page. This will grab their attention and give them a tailored experience. It’s a clever touch. 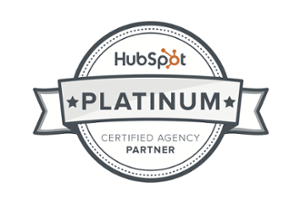 And, with HubSpot’s inbound marketing features, it’s dead easy to do. Cut out a step by using a ‘book a meeting’ widget. Instead of making your potential customers contact you to book a meeting – which involves a bit of back-and-forth to set the date and time – they can set up a meeting themselves, hassle-free. If you have a sales team, set up a team contact calendar to book meetings directly onto the online calendar (such as their Outlook calendar). It’s unbelievably efficient. We use this one. Often, people come to a contact page looking for more than just contact information. They want answers. Save time on manually answering questions that come up time and time again by have a ‘frequently asked questions’ section on your website. We’ve put it on our contact page, but you could have these FAQs on a separate page instead. Your FAQs are one way of answering a customer’s questions, but you probably have lots of fantastic resources at your disposal that provide more in-depth answers. A person may want to spend more time finding out about what you can do for them before they get in touch. By using CTAs, you can direct them to a choice set of resources, which also helps you qualify them as a lead. It might seem like a strange idea to send people away from the contact page, but don’t worry, if it’s meant to be, they’ll be back. You might be thinking, ‘this seems like a lot of stuff to have on one page’ (and there’s more, yet). But, by using anchor points, you really can have it all. These work the same as a hyperlink to another page or site, but instead of taking you elsewhere, they simply send you to another part of the same page. For example, we have a link that says ‘send a message’ at the top of our contact page. When clicked, this scrolls the visitor to the form that is lower down on the page. 92 percent of B2B buyers are more likely to purchase after reading a trusted review. 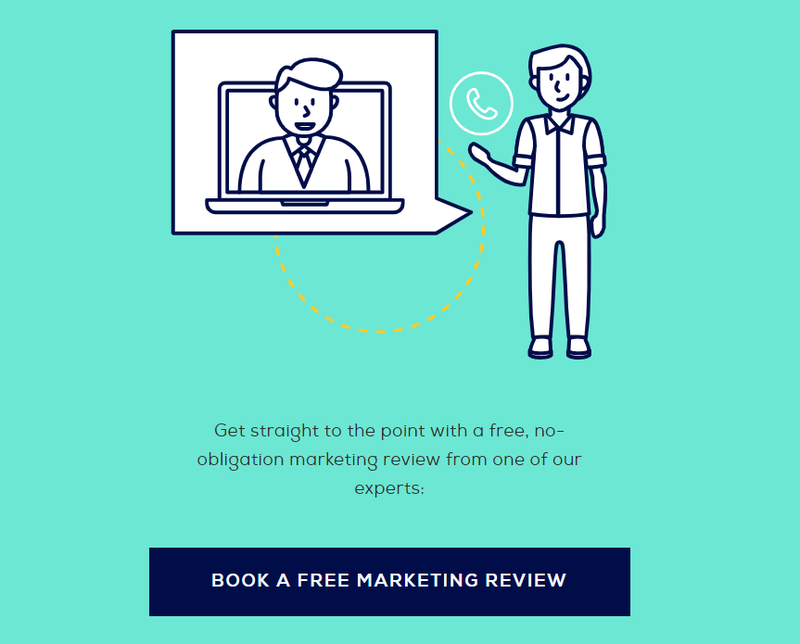 If you have some stellar customer reviews to share (and hopefully you do), then use this powerful tool to persuade visitors to take that next step and contact your business. Finally, it’s the details that make the difference. 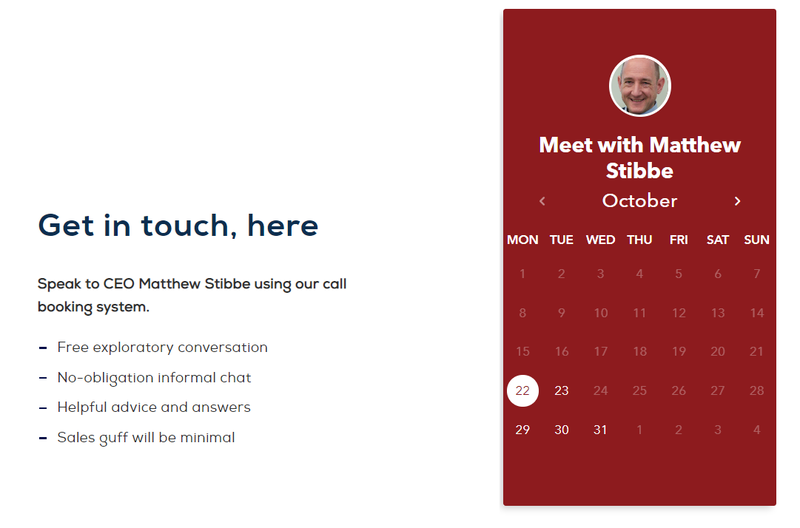 Improving your contact page design goes beyond the information you have on it. Use your creativity to delight the eye. 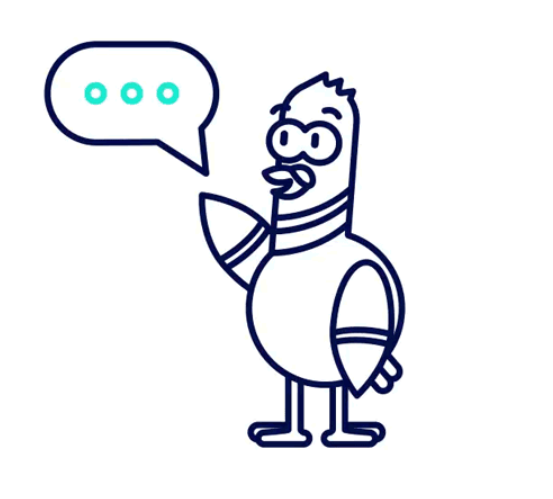 Our contact page blends both quirky illustrations with interactive animation. It depends on your brand style, of course, but it pays dividends to have a little fun. 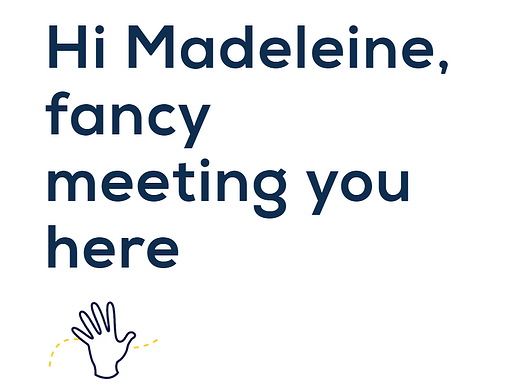 You need to create a contact page that makes people want to talk to you, so welcome conversation with a personable design. 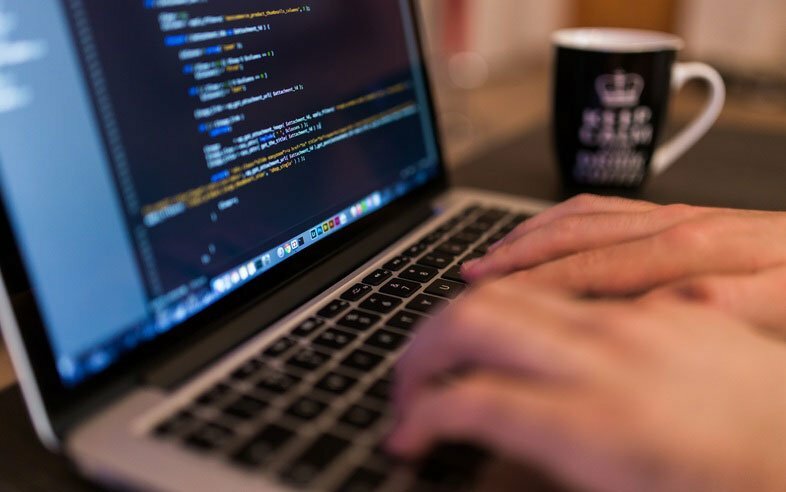 Contact page designs – and websites in general – are a constant, iterative process. We’ve made our choices following plenty of research into best practices, but we might decide to change things at a future date based on the data we gather. The good news is, it's already working. Contact pages have a lot of traffic but tend to be exit points. Our page caters to every part of the buyer's journey and we've seen people sign up to newsletters and offers, rather than simply leave forever. That gives us a chance to nurture them into marketing qualified leads. Have these tips been helpful? Let us know in the comments below. 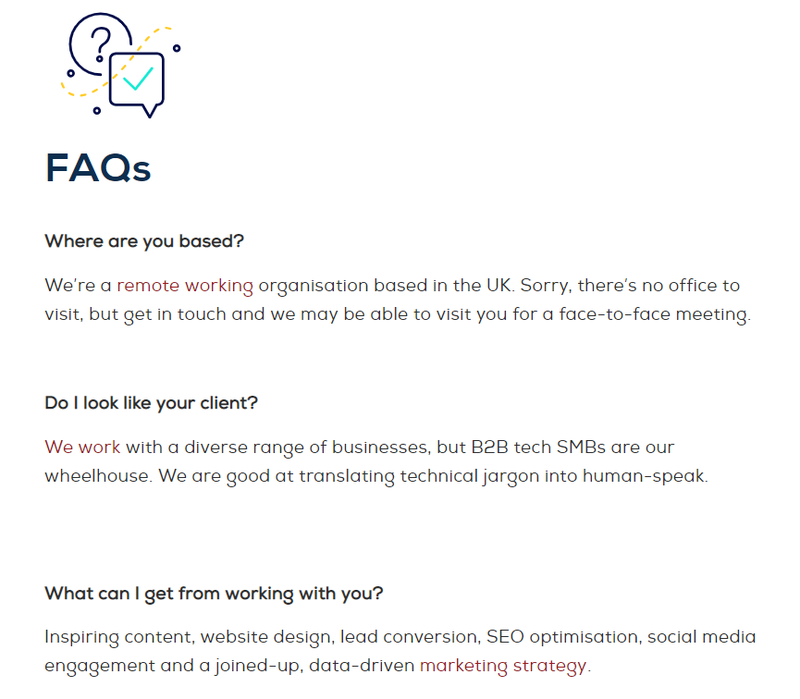 If you want to find out more about how we can help you improve your B2B website and marketing strategy, well… you know where to find us.